No matter what I'm doing in Victoria, I somehow manage to make a stop at The Fairmont Empress Hotel's Bengal Lounge. Not only do I love this iconic bar, it serves Victoria Gin. How many cities can boast they have their very own spirt(s) named after them? Our gin balances the characteristic evergreen flavour of juniper with notes of citrus, floral, and spice. We distill it in small batches in a gleaming handmade wood-fired copper potstill. Only the middle part of each run, the hearts, is saved for bottling. The result is an intensely flavored spirit that is as full-bodied and complex as a fine single-malt whisky. 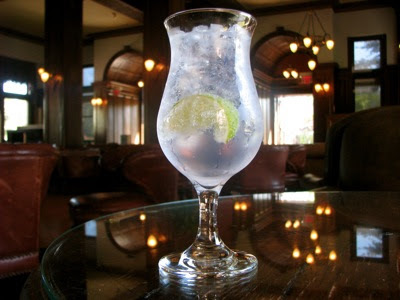 Victoria Gin is only available in British Columbia and Ontario. I hope to be back in Victoria sometime in the fall. And although gin & tonic season will be over for me, it will be time for a sleek Victoria Gin martini.